Our guest blogger this month is Cian Corbett – Business Director @ Radical , who discusses how to define the role of Social Media in an overall marketing campaign. Radical are a Creative Digital Agency based in Dublin and are IAB Ireland Members, they have been awarded Social Media Agency of the Year 2013, 2014 and 2015. 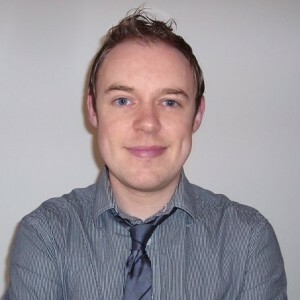 Cian is a member of the IAB Ireland Social Media Council. Ladies and Gentlemen, we are gathered here today for the same reason – we love social media! And we’re not alone – Fans and brands love it too. 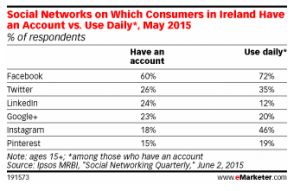 The latest Ipsos MRBI report reveals 60% of the Irish population have a Facebook account with 72% logging in daily with Twitter and Linkedin lingering at quarter mark with 26% and 25% respectively. And brands are following the audience having increased their investment in social advertising by 103% to reach €28.5m in 2014 with further rises expected in 2015’s final tally. So Social is enjoying a steady rise on both sides but any Marvel fan will know that with great power comes great responsibility – to demonstrate effectiveness. Unlike its Digital Cousins in conventional Direct Response Advertising, proving Social’s effectiveness in driving sales is not as easy. Which brings me to the core of the article… proving the effectiveness of Social does not necessarily mean proving sales. 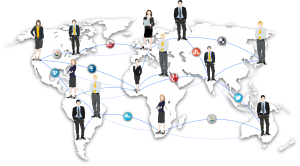 It needs to start at defining the role of social in your campaign and then choosing the appropriate KPI’s to measure effectiveness. The good folk at SocialMediaExamier.com conduct an extensive annual survey to reveal why Social Media Marketers are currently using Social as part of their Digital activities. Social can deliver so much more than just impressions and surface level engagements so let’s not reduce our KPI’s to simple metrics like RT’s, Comments, Likes and Shares. If we’re going to prove Social’s effectiveness we need define its role in our journey to a great campaign, layout the road ahead in objectives and measure the distance in KPI’s that contribute to our final destination. More about Cian: Cian Corbett is Business Director and Team Lead of Radical’s Social Media team.Cian’s role at Radical involves developing Radical and Core Media’s Social Media stars and providing Digital and Social strategic direction across a range of clients. Cian is a long standing Social Media keynote speaker and lecturer providing courses for Digital Marketing Institute, NUI Maynooth, Sureskills and Core Media’s learning centre Core Knowledge.